Hiring a boat on the Shannon River offers freedom to discover the best of Ireland on your own terms and at your own pace. 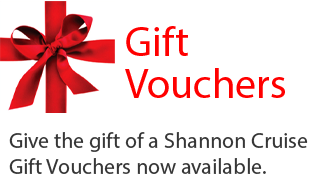 Our advice at Shannon River is to make a plan for your river cruise and if you stick to it, that's good. If you don't stick to it, that's good too! You may find a place the charms you so much that you don't want to leave, or you may want to see as much of the river as you can on your cruise. Below are some suggested cruises - these are designed to help you to make a plan but you don't need to stick to them, the great thing about a cruising holiday in Ireland is that you can choose your own way to discover the Shannon. 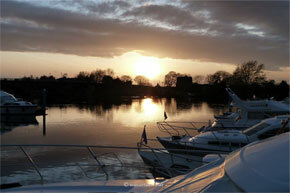 Carrick-on-Shannon is a vibrant town and both Carrick Craft and Emerald Star have marinas here. Heading north will take you to Lough Key Forest Park and along the Shannon-Erne waterway to Lough Erne in Northern Ireland. 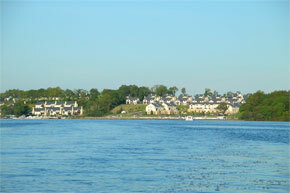 Carrick-on-Shannon is a vibrant town and both Carrick Craft and Emerald Star have marinas here. 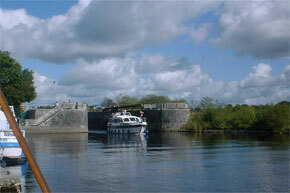 Heading south will take you along the Shannon navigation system, over lough Ree and down to lough Derg. Lough Erne is a great place to cruise with some islands of great historical interest but it might be difficult to get a full week from the lake. It's well worth visiting the islands on the Lake, Devenish Island, White Island and Boa Island all have historical interest. Athlone is a large town roughly in the middle of the Shannon Navigation and from here you can head north or south, or a bit of both. 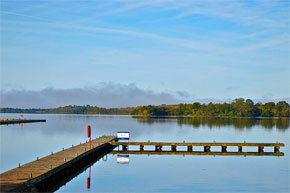 Heading north will take you to the Shannon Erne Waterway or Lough Key Forest Park. Athlone is a large town roughly in the middle of the Shannon Navigation and from here you can head north or south, or a bit of both. 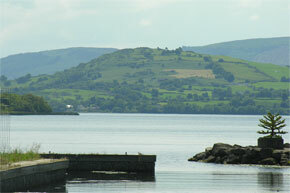 Heading south you can turn for Ballinasloe or continue onto picturesque Lough Derg. 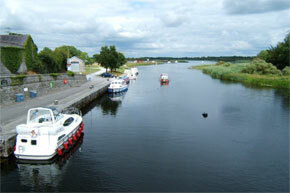 Banagher is a good town for angling, and both Carrick Craft and Silverline have marinas here. 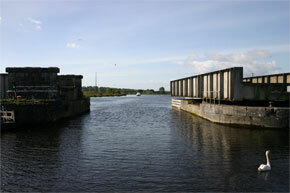 Heading north along the Shannon Navigation you can go as far as the Shannon-Erne waterway or Lough Key Forest Park. Both Silverline Cruisers and Carrick Craft have bases in the town of Banagher, and it's about 7 hours cruising from Banagher south to Killaloe, the limit of navigation for the hire boats. Lough Derg is well worth a visit but you should have time to travel north after a few days - see the suggested cruise for Banagher heading north. 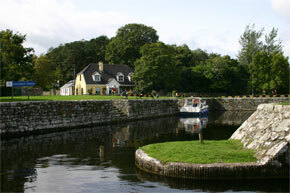 Portumna is located on the northern tip of lough Derg and from here you can head north as far as Carrick-on-Shannon and on up to Lough Key forest park if time allows. 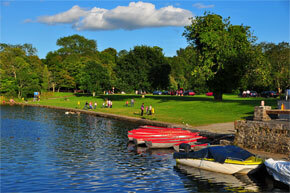 Carrick is a lively town with some good pubs and restuarants, and is surrounded by small towns and villages. 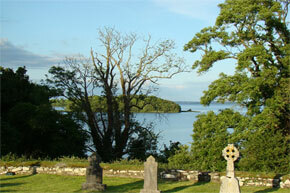 For a short break Lough Key Forest park is worth visiting and has something for all the family. 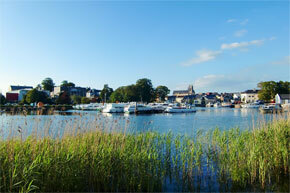 Athlone is one of the largest towns on the Shannon River and you can take your boat north or south from here. North will take you across Lough Ree through small villages up to Carrick-on-Shannon while south will take you down to Lough Derg. Banagher is home to both Carrick Craft and Silverline Cruisers and you can head south onto Lough Derg or north towards Athlone and Lough Ree for a short break. Why Hire Your Boat With Shannon River?